Hey everyone! Sorry I've been so rubbish with blogmas. With everything going on with work and family and trying to have a social life I just haven't really had enough time to just sit back and relax and work on my blog. However hopefully that will change soon and I'll be able to write more posts on my blog. I will be posting two posts a day until I'm back on track so keep an eye on that. Today I thought that I would tell you my favorite things about the festive season as it is one of my favorite times of year. There's quite a lot of them so grab a hot chocolate and enjoy! Christmas Decorations In London - I love Christmas decorations in London this time of year. I feel very sad that I haven't yet properly been into London to see them but I just love seeing how pretty everything looks. 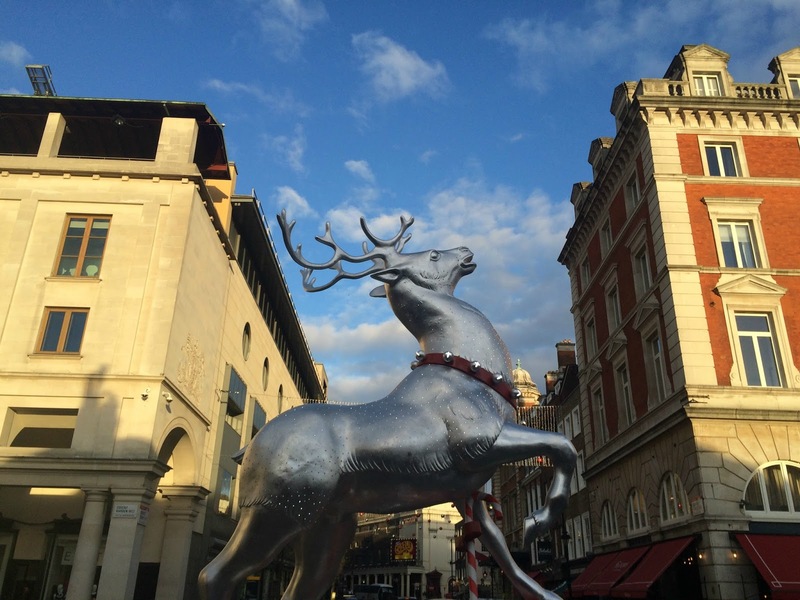 Doesn't Christmas just make London 10x more beautiful? 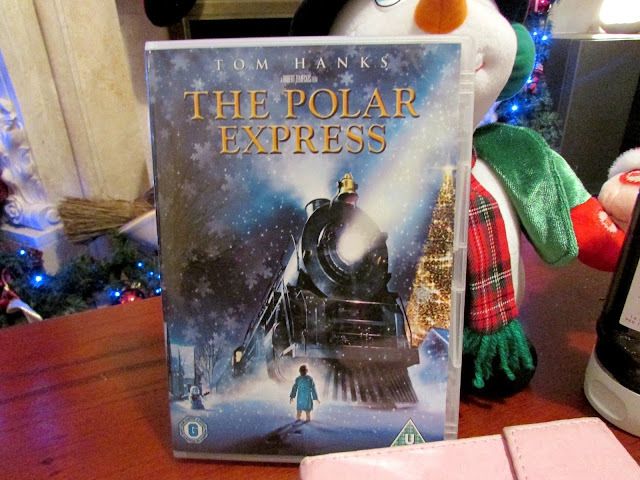 Christmas Movies: There's nothing I enjoy more than snuggling under the duvet with my favorite Christmas films. This year because I'm doing so many shifts at work I haven't had the time to properly watch any so I'm setting out a couple of nights where I'll pamper myself and spend the evening watching all my favorite Christmas films. The Polar express is definitely one of my favorites. Christmas Candles & Scents: Lighting candles is something I've been doing a lot recently as it just helps me to relax and destress. Christmas is the time when all my favorite christmas scents are released. 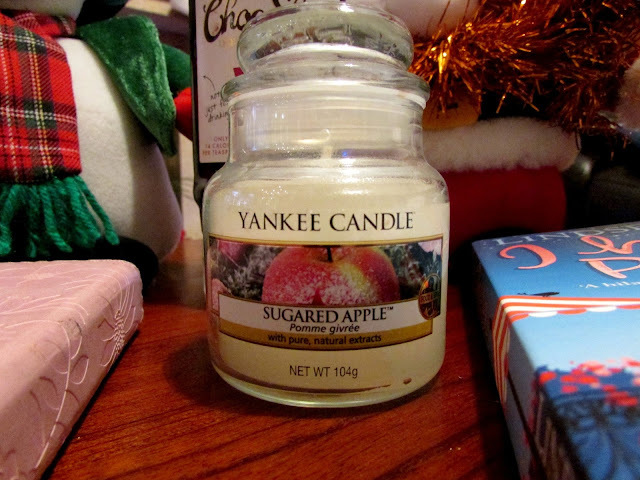 At the moment I'm loving all the apple scents that are about like sugared and glazed apple. I also love anything cinnamon scented. I just think it screams Christmas. Decorating For Christmas: I spent the entire day on the Sunday just gone just putting up the Christmas decorations in my house. It's one of my favorite things to do this time of year. Me and my brother always create a musical christmas playlist and sing along, eat mince pies and then put up the decorations. 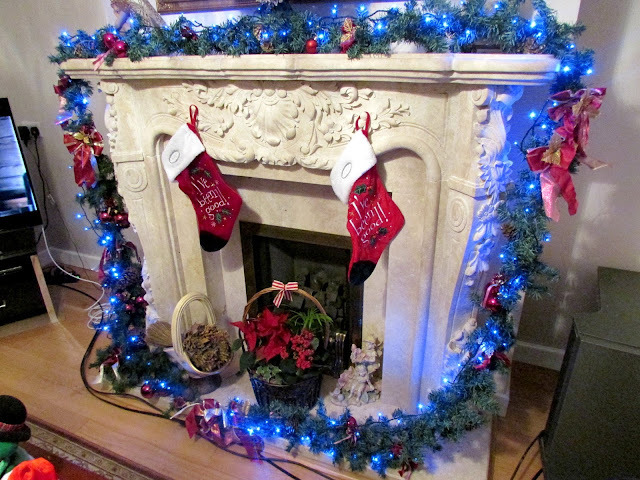 My favorite thing to put up is the garland around the fireplace and hanging the stockings up. I also love these blue lights. 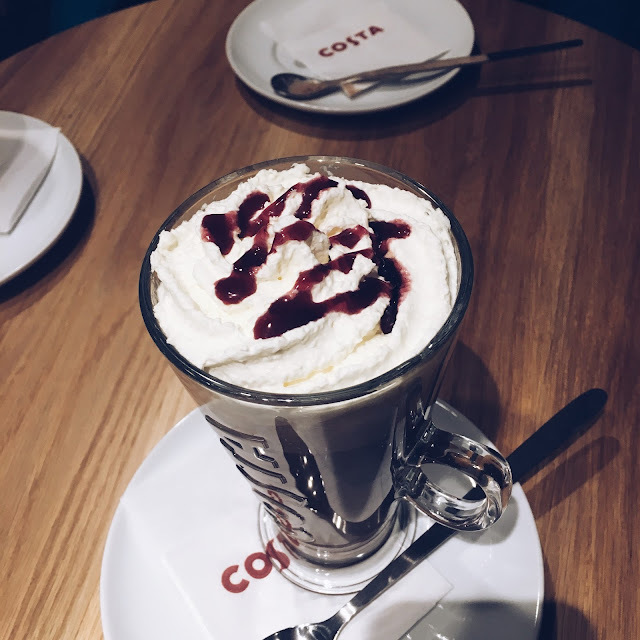 Costa Christmas Drinks: I love all the Christmas drinks the coffee shops all bring out this time of year especialy costa and starbucks. However I must admit, this year Costa are just ticking all the right boxes. I absolutely love their black forest and white hot chocolates this year. They are just so incredibly yummy. Starbucks christmas lattes are also my favorites and I'm not normally a coffee person. If you haven't tried any of these drinks yet then I would highly recommend you trying them. 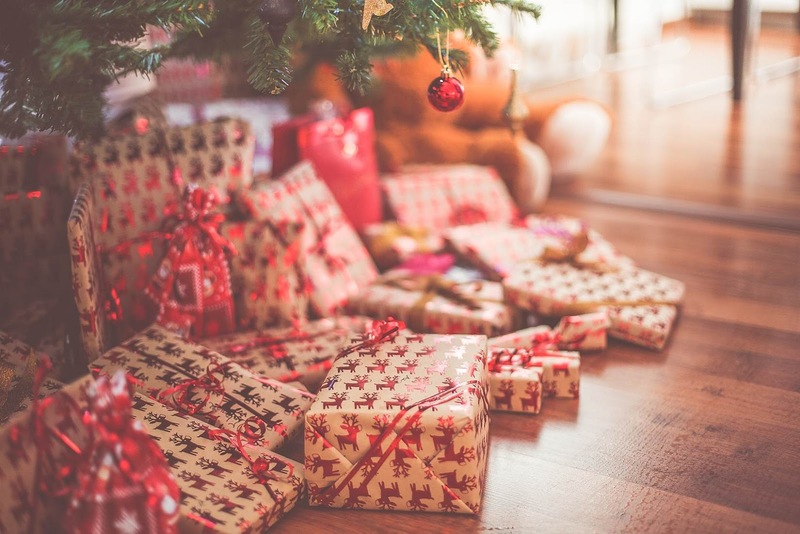 Christmas Shopping & Wrapping Presents: Most of my Christmas shopping this year has been done online however every year me and my Mum set a day one side where we get up early and go Christmas shopping. I don't know how she does it but she manages to get everything done in one day. It's crazy. However it's a lovely Christmas tradition we have. Sitting in my room with a Christmas film playing in the background and wrapping all my gifts up is something I also love to do. It really gets me in the spirit. 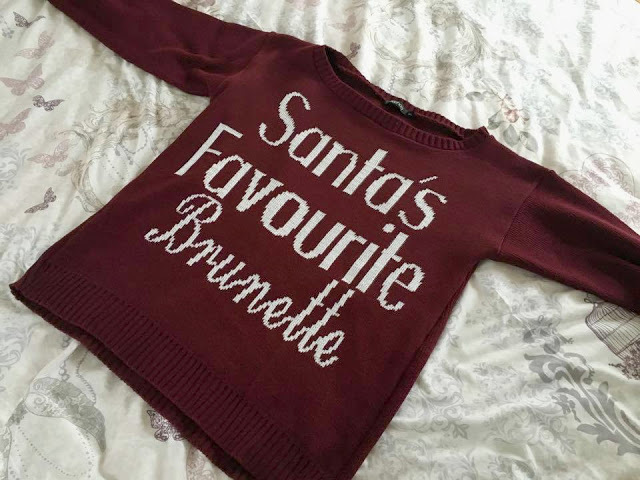 Christmas Jumpers: There's nothing like a festive jumper to keep you warm during the winter months. My favorite places to buy Christmas jumpers at the moment are Boohoo and Primark. They have some absolutely amazing ones in these places. Definitely the place to go if you're looking for something festive and warm. There are many more things that I could go on about Christmas and my favorite things but we all know we'd be here until next Christmas rolls around so I'll end it here. I hope you enjoyed this post and be sure to let me know which of these things are your favorites in the comments below. 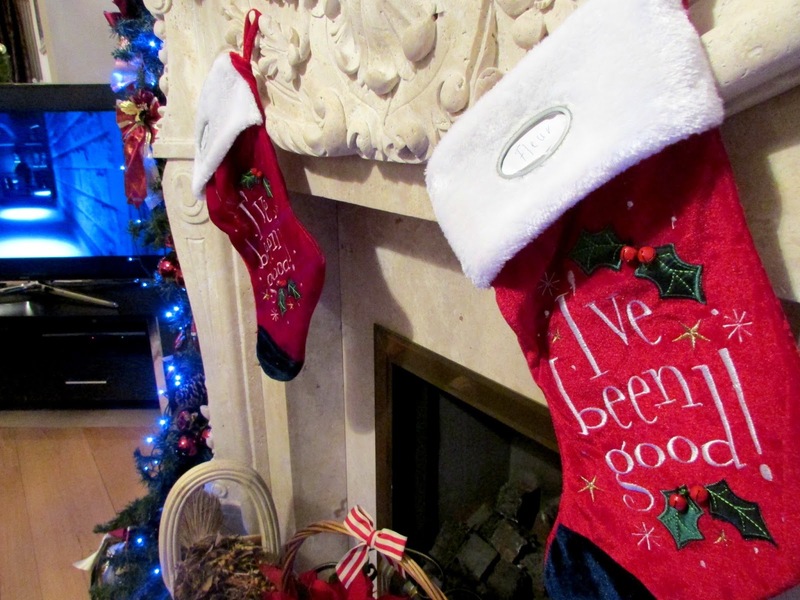 Keep an eye out for my next blogmas post which will be uploaded later tonight.